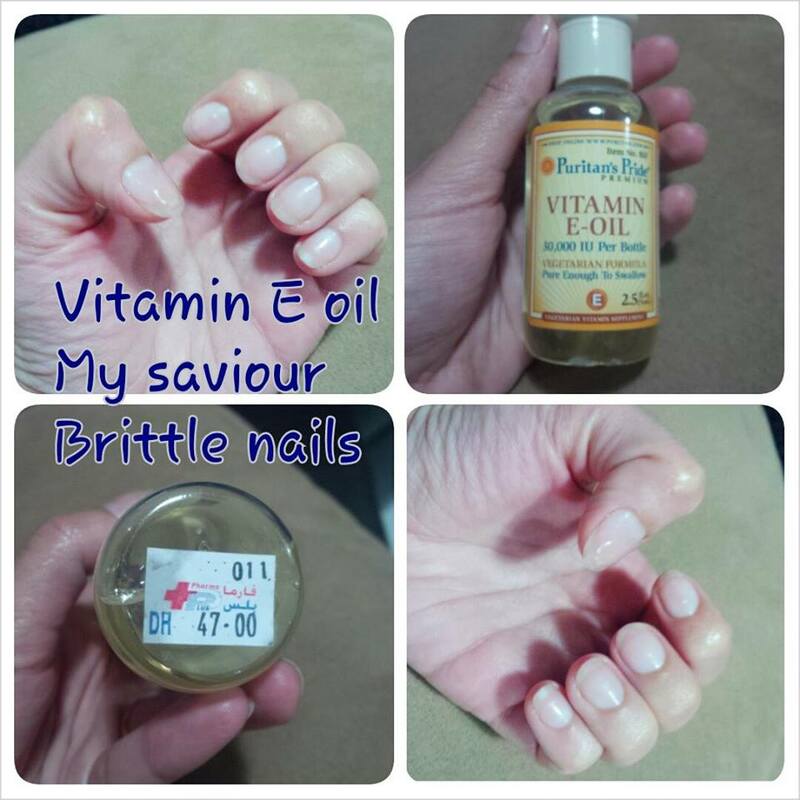 Vitamin E oil for Brittle nails- Vitamin E has oil has been my saviour as I have really brittle nails, especially after having acrylic and gel nails for almost 1 year. I did a lot of reading and found that Vitamin E oil is really good for brittle and weak nails. So I decided to give it a try. I absolutely love what I’ve been seeing . I rub the oil into my nails at night and in about 2 weeks I’ve seen a considerable difference. My nails are stronger. I’m definitely happy with what I see. I bought my bottle of Vitamin E oil from Aster Pharmacy, here in Dubai for Dhs 47. Which I think is fine considering the wonders its been doing to my nails. I would recommend using it at night, as it then when the oil can be absorbed into the nails properly. Pure vitamin E oil can help rejuvenate breaking nails. For best results, buy a bottle of pure vitamin E capsules, prick the gelatin capsule with a pin, and rub the oil directly on your nails. You can also take vitamin E orally to strengthen nails from the inside out!